Mr Leung consults in Essendon, Camberwell and he runs specialty a paediatric clinic at the Melbourne Paediatric Specialists at the Childrens. 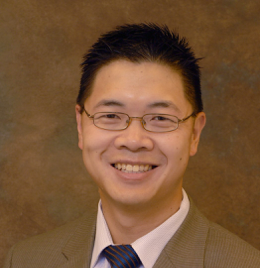 Mr Leung’s special interests include Otology/ Neurotology, Skullbase Surgery, Paediatric ENT, Rhinology and Rhinoplasty. Leung R, Jones IT. Clinical experience with Crohn's disease. ANZ Journal of Surgery. 75(6):471-4, 2005. Leung R, MacGregor L, Campbell D, Berkowitz RG. Decannulation and survival following tracheostomy in an intensive care unit. Annals of Otology, Rhinology & Laryngology. 112(10):853-8, 2003. Anastasopoulos F, Leung R, Kladis A, James GM, Briscoe TA, Gorski TP, Campbell DJ. Marked difference between angiotensin-converting enzyme and neutral endopeptidase inhibition in vivo by a dual inhibitor of both enzymes. Journal of Pharmacology & Experimental Therapeutics. 284(3):799-805, 1998.